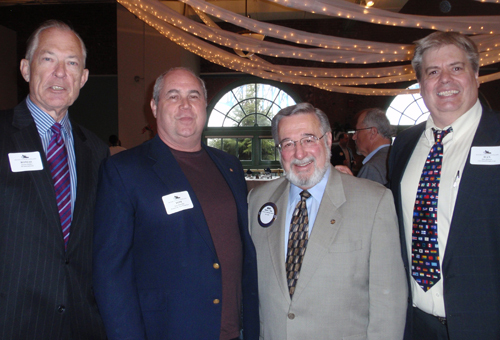 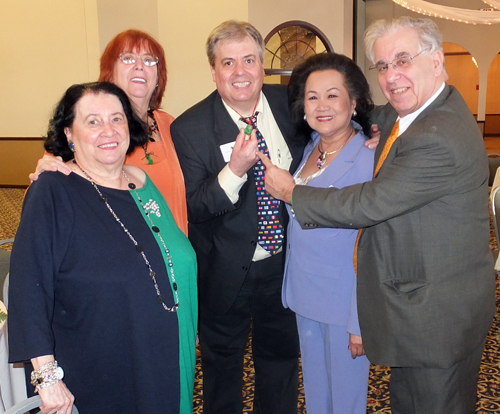 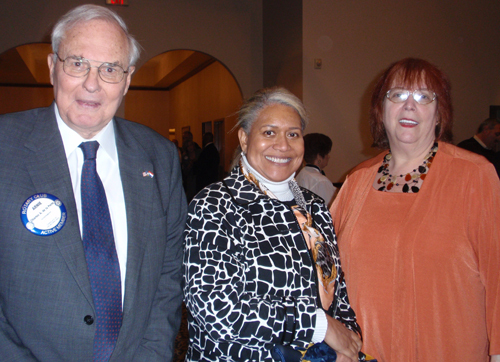 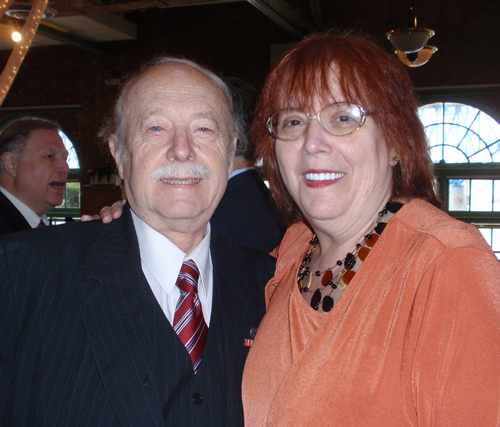 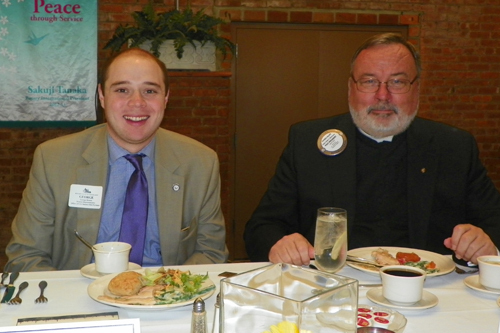 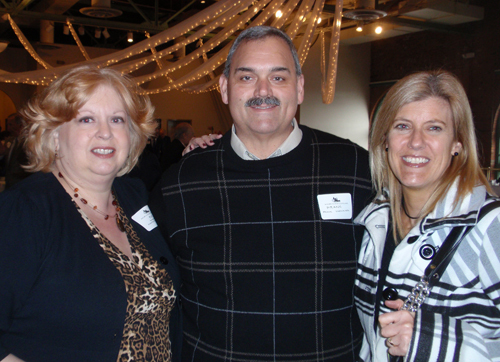 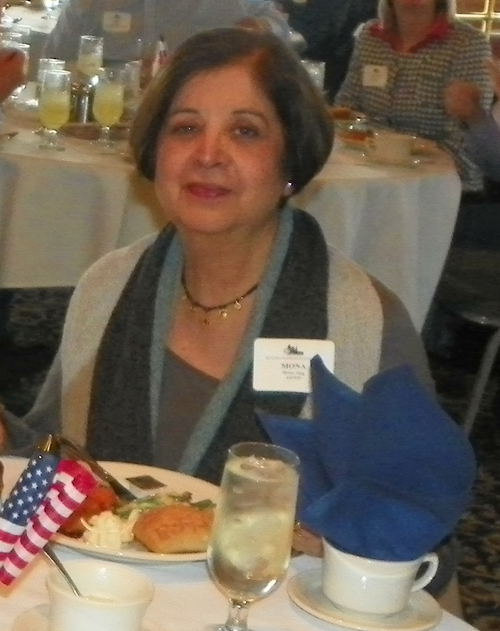 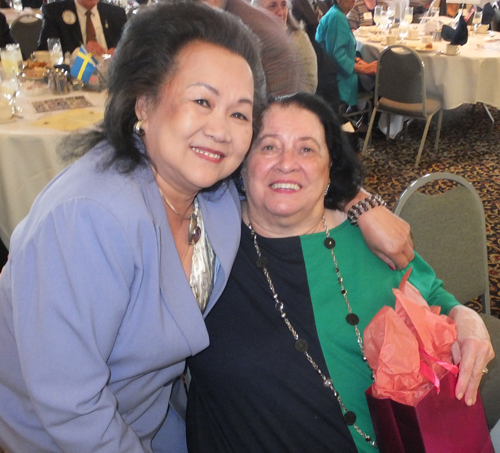 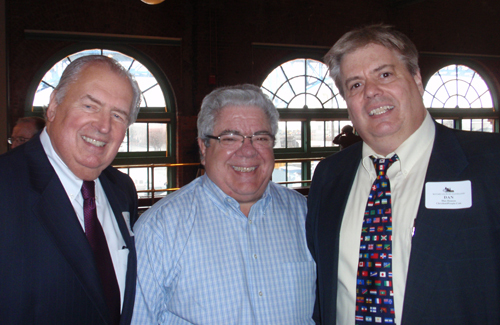 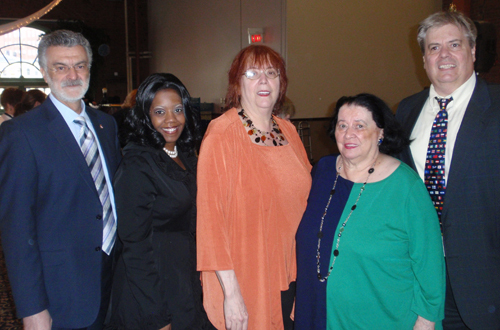 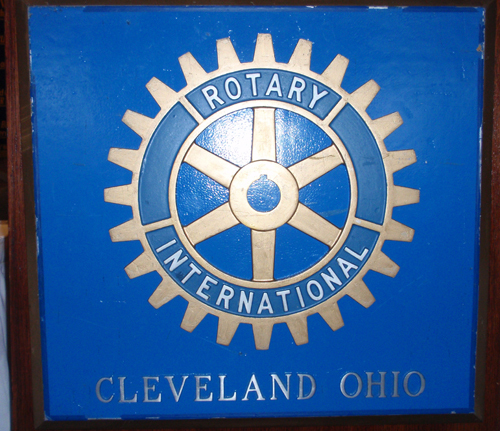 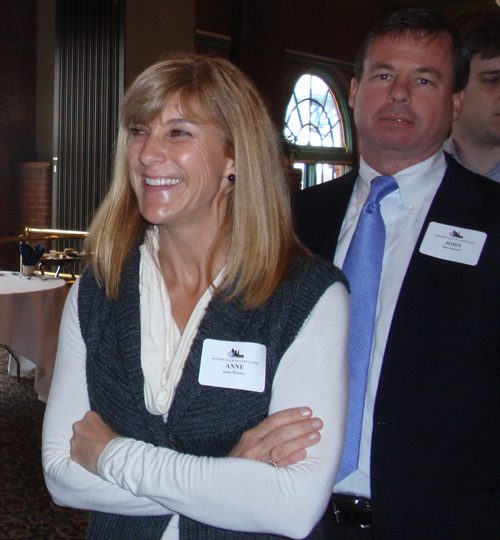 The Rotary Club of Cleveland hosted their annual International Fellowship Day in Cleveland Ohio on April 11, 2013. 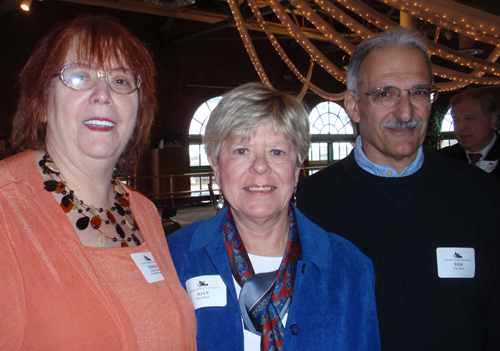 The event featured the presentation of the International Service Award to Dan Hanson, Debbie Hanson and Pat Hanson of ClevelandPeople.Com. 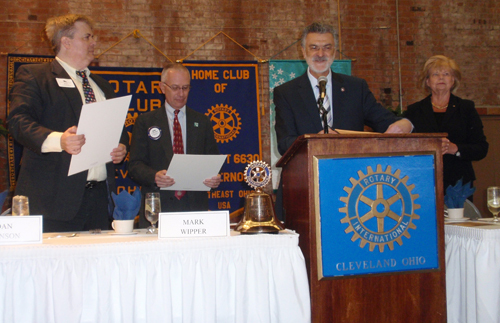 Mark Wipper, President of the Rotary Club of Cleveland led his fellow Rotarians in the welcome song "Hello" at the special International Fellowship Day meeting. 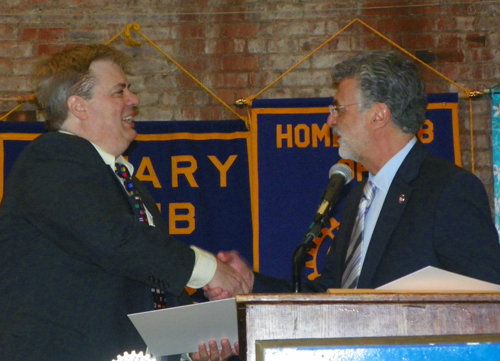 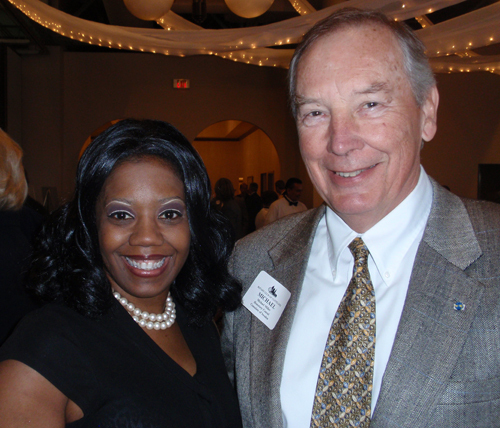 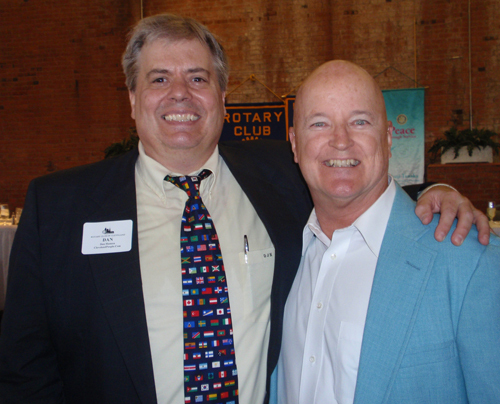 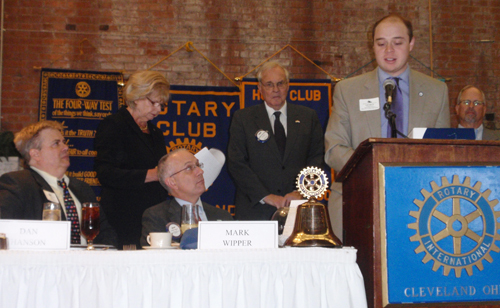 He then called upon past Rotary International Director Mike Johns for a few words. 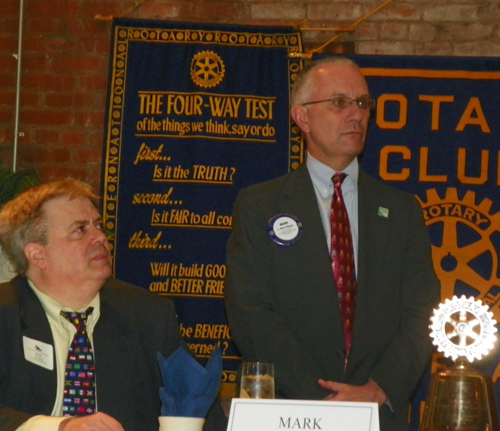 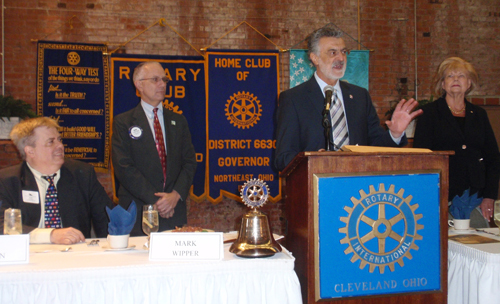 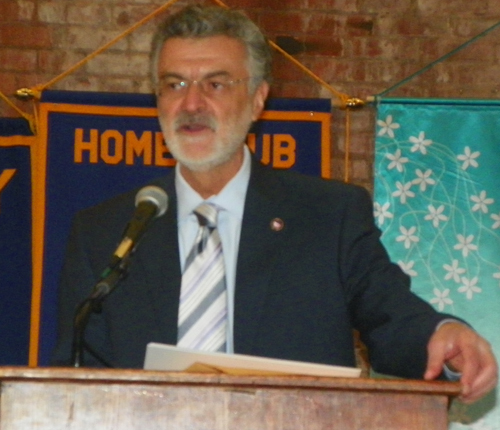 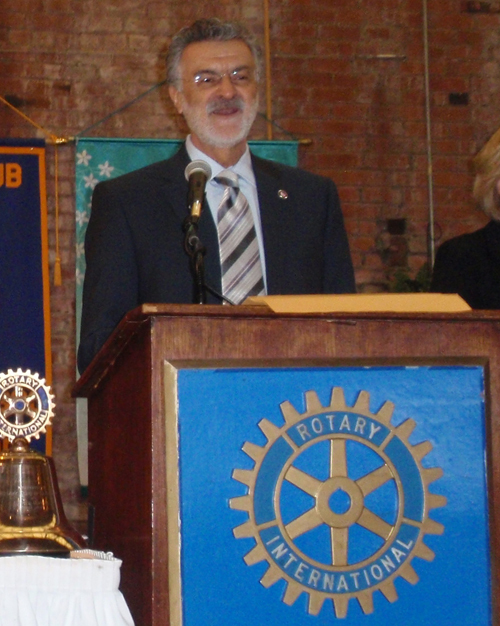 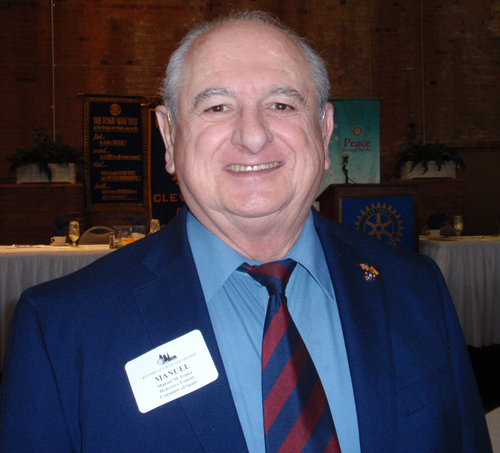 Mark Wipper, President of the Rotary Club of Cleveland gave a brief history of Rotary International, the world's first service organization and the work of the Rotary Club of Cleveland. 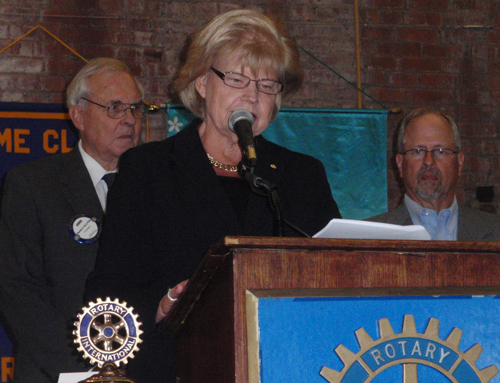 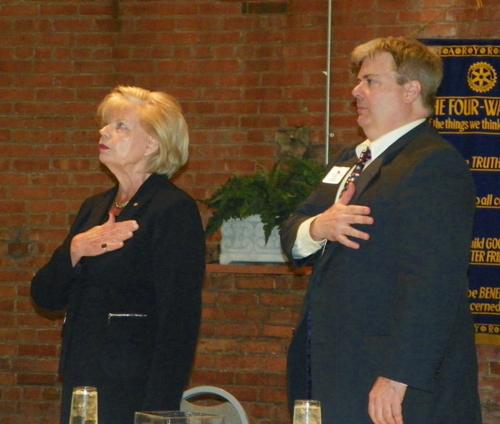 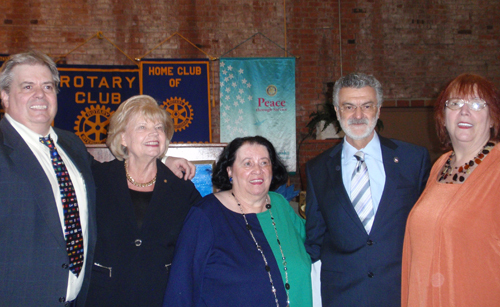 Ingrida Bublys, Past-President of the Rotary Club of Cleveland and Honorary Consul to Lithuania and Arnie de la Porte, Honorary Consul to the Netherlands, awarded the 2013 Rotary Club of Cleveland International Service Award to ClevelandPeople.Com and its founders Dan Hanson, Debbie Hanson and Pat Hanson. 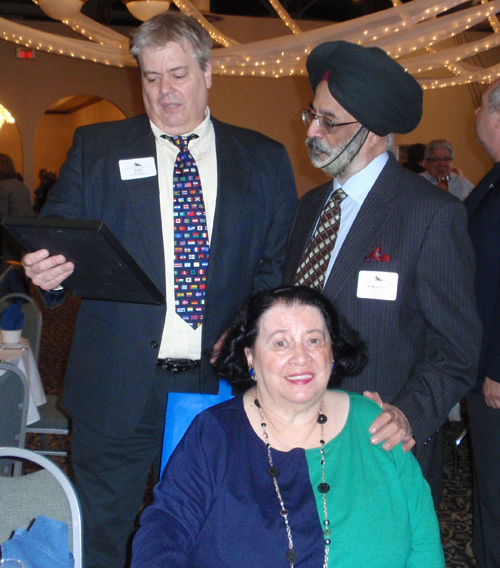 "This award is being presented to ClevelandPeople.Com and its founders Dan Hanson, Deborah Hanson and Pat Hanson not only for their commitment to a better world and the furtherance of world understanding and peace but for their global vision in support of the international community of Greater Cleveland and the State of Ohio. 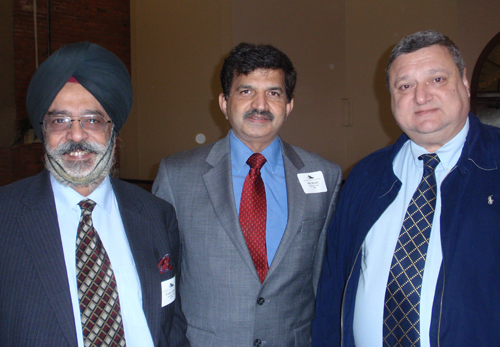 ClevelandPeople.Com works to promote and celebrate the various ethnic and cultural people and events in the Cleveland area. 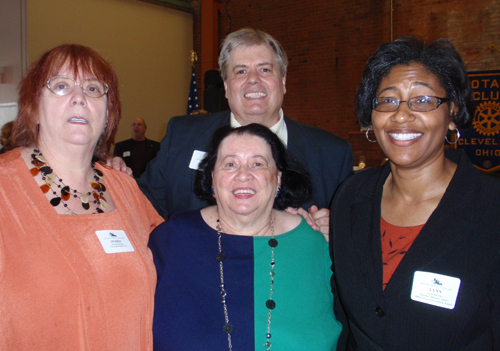 Through text, video and pictures ClevelandPeople.Com is continuously compiling an archive of the numerous ethnic and cultural events that make Cleveland so unique. 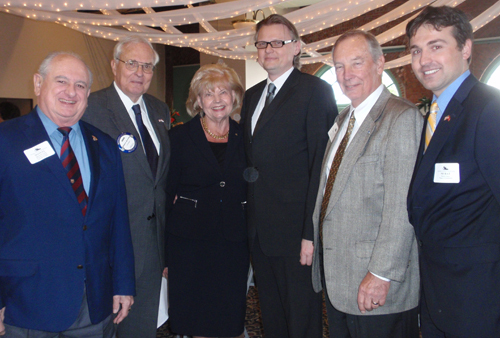 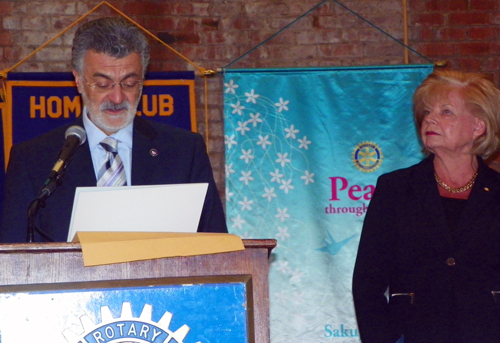 Ingrida Bublys, Honorary Consul General of the Republic of Lithuania, introduced Cleveland Mayor Frank G. Jackson at the Rotary Club of Cleveland at its annual International Fellowship Day. 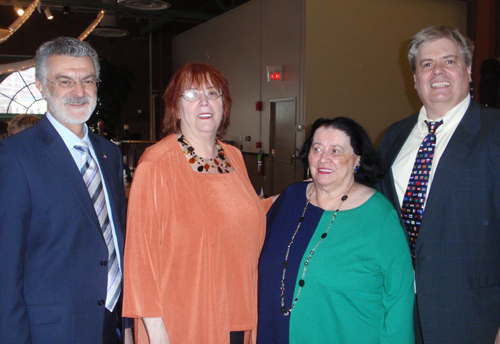 Mayor Jackson was there to honor the recipients of the 2013 International Service Award, ClevelandPeople.Com and its founders Dan Hanson, Debbie Hanson and Pat Hanson. 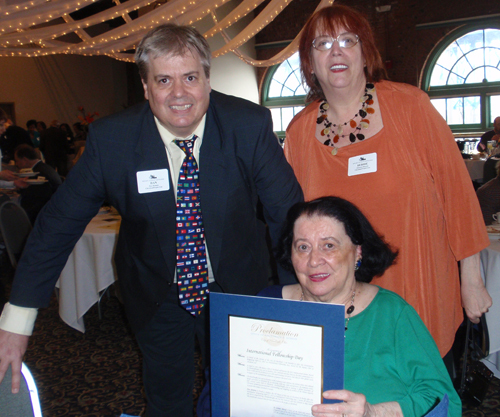 George Brown, representative of US Senator Rob Portman, read a personal letter to ClevelandPeople.Com and its founders Dan Hanson, Debbie Hanson and Pat Hanson. 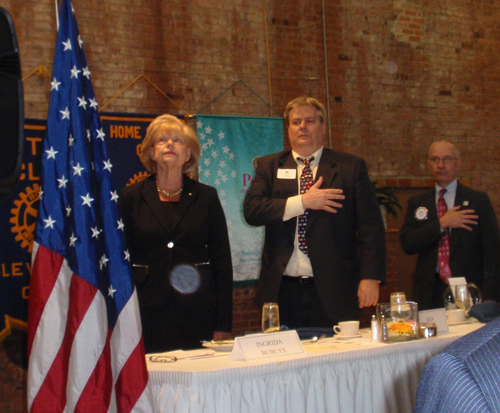 Senator Portman also had a flag flown over the US Capitol in their honor and George Brown presented it to Dan Hanson. 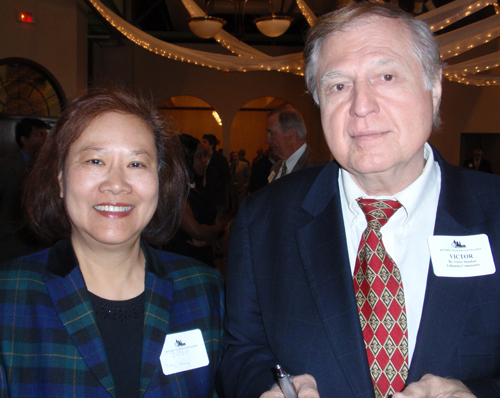 Joe Meissner and Gia Hoa Ryan of the Vietnamese Friendship Foundation along with Lebanese American leader Pierre Bejjani also honored ClevelandPeople.Com. 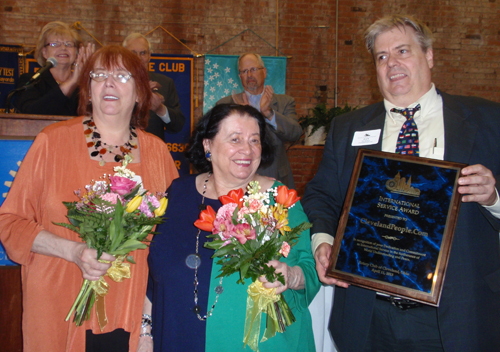 Sheila Murphy Crawford, president of the Cleveland Cultural Garden Federation, honored ClevelandPeople.Com and its founders Dan Hanson, Debbie Hanson and Pat Hanson who were awarded the 2013 Rotary Club of Cleveland International Service Award. 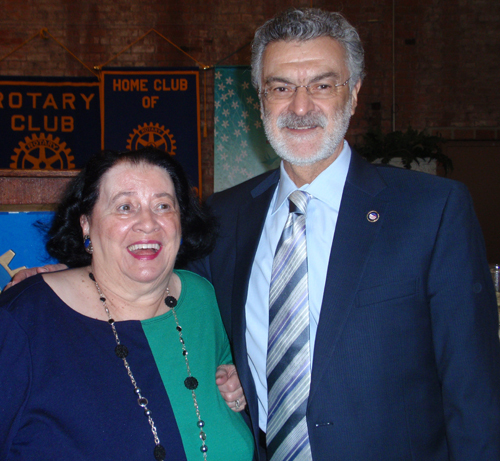 Ingrida Bublys, Past-President of the Rotary Club of Cleveland and Honorary Consul to Lithuania introduced Dan Hanson of ClevelandPeople.Com. 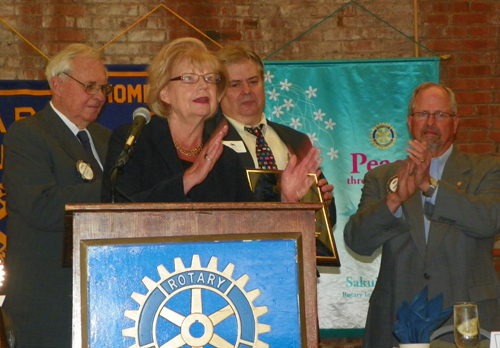 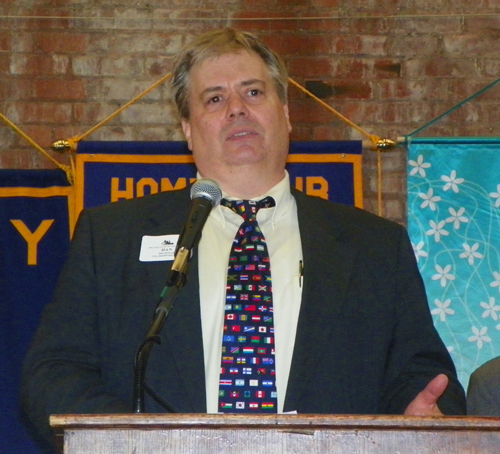 Dan Hanson told how the award was special because of the respect they have for the Rotary and its mission. 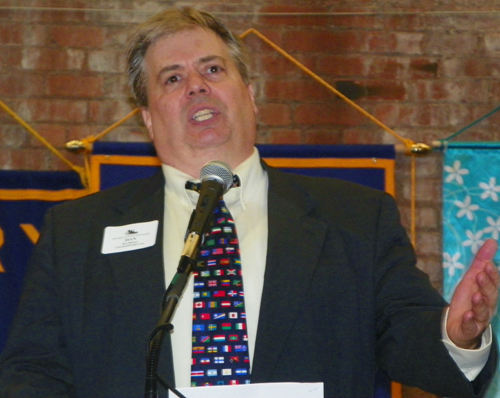 Dan Hanson of ClevelandPeople.Com told a funny story about the ethnic diversity in Cleveland. 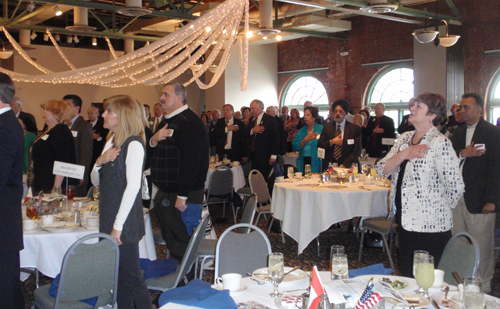 The story involved Irish Catholics, Sikhs, Indians, African-Americans and Hispanics and displayed Cleveland's diversity. 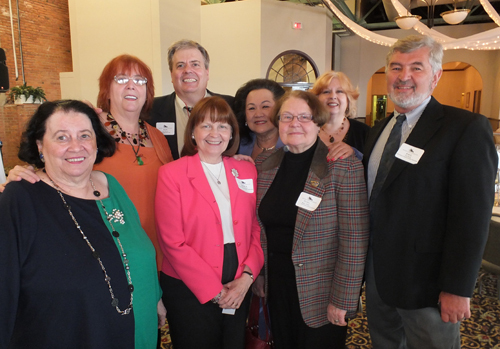 Dan Hanson then told of the ethnic influence of his Irish and Austrian mother, his Polish father and his sisters and how he met Lithuanians, Slovenians, Croatians, Hungarians and more at St Joseph High School. 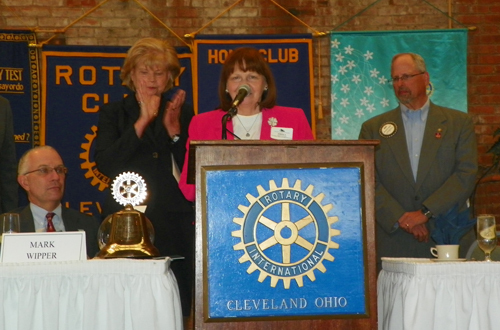 Lynne Stevens, Director of Community and Minority Affairs for Ohio and Governor John Kasich spoke at Rotary event and presented a proclamation from Governor Kasich and said that "we go to the website a lot." 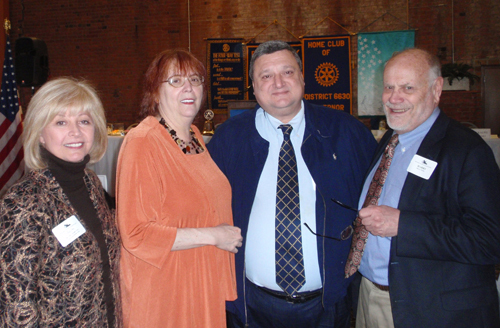 Congratulations to Ingrida Bublys, Richard S. Pollak, Chair, International Service Committee, and all of the Cleveland Rotary for the 2013 International Fellowship Day event and congratulations to ClevelandPeople.Com and Dan, Debbie and Pat Hanson for a much-deserved award.